What’s the weather like in Croatia? It’s very similar to Italy with hot summers and mild winters, although the winters do seem to get colder. The beaches in Croatia are so good. They’re clean, not insanely crowded, and have incredible scenery surrounding. The deep blue water of the Adriatic Sea is something you really have to see in person. 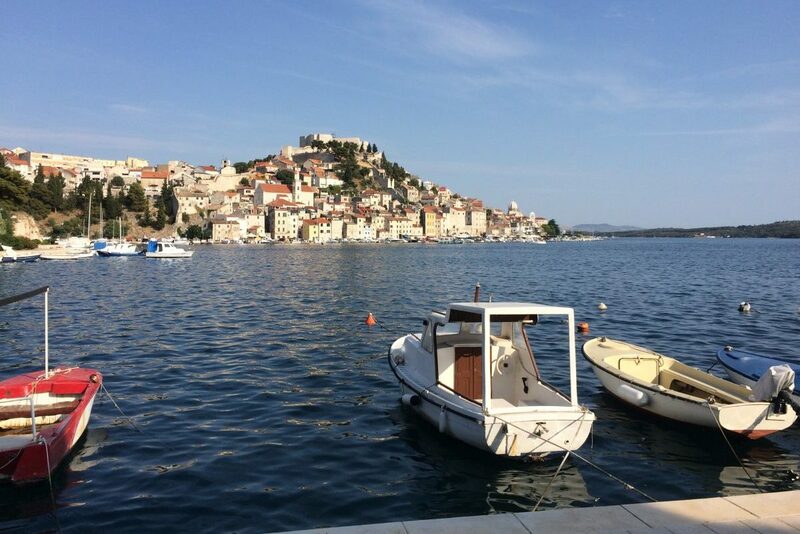 Here’s a great top 10 list of breaches in Croatia from Rough Guides. In my opinion the main reason to go visit Croatia is for the nature. Getting out into the countryside, along the Adrian Sea coastline, and to the National Parks is something you just can’t experience anywhere else in the world. The color and clarity of the water, the amazing green plant life, deep blue seas, and beautiful beaches are such a great reason to visit Croatia. That doesn’t mean there isn’t a lot more to see though. The history and architecture in Croatia is also incredibly unique — definitely a big factor of why Game of Thrones decided to do so much filming there. Dubrovnik is a really interesting city to visit, it’s walled city is soooo cool! Don’t forget that Dubrovnik is insanely busy during the heat of the summer though. I definitely think that it’s worth mentioning Montenegro as well. Montenegro isn’t part of Croatia as it has been its own independent state of Montenegro since 2006. Despite being a tiny little country that very few people have heard of and even fewer can point out on a map, it’s one of the best places in the Mediterranean to see. The coastline and mountains in Montenegro are as unique as Croatia’s waterfalls and lakes. I say this because it’s a very short 1 hour drive from Dubrovnik which is where so many of you will be traveling to. If you’re renting a car in Croatia, I’d highly recommend making the trip over to Montenegro for a few days, if just to do an epic road trip like our 6-day road trip from Dubrovnik through Montenegro and Bosnia. Definitely check out Bored Panda’s blog post for the most epic Game of Thrones film locations in Croatia. What language is spoken in Croatia? The language in Croatia is actually called Croatian. It’s a standardized version of Serbo-Croatian, which is very similar to many other languages in the region. For more information on the Croatian language check out the Wikipedia page. Don’t let that scare you though. If you speak English you’ll be able to get around. Most people can at least have surface level conversation in English which means you won’t be stranded! Do you take great photos or videos? Apply for the chance to have your story featured on our blog!